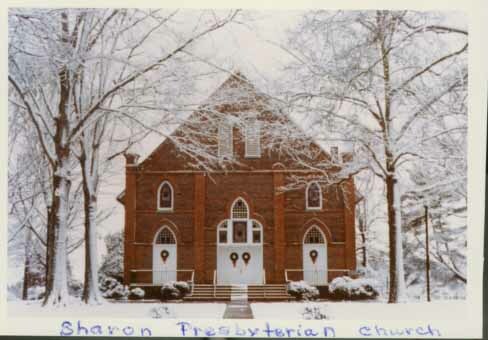 On January 30, 1830, residents in the Sharon neighborhood of Charlotte, North Carolina, met at the home of Martha Kirkpatrick to discuss the organization of church. The land for the church, located on what is now Sharon Road, was donated by Dr. J. W. Ross and the Kirkpatrick family. The church building, seen here, was completed and the first services were held on October 22, 1831.